Walter Marion Braselton, a pioneer farmer and resident of Parker County, was born November 29, 1846 in Braselton, Jackson County, Georgia. He married Lucinda Jane Wilmouth, also of Georgia, born November 12, 1846. The couple were married on March 15, 1868 in Springtown, Parker County, Texas. The 1870 United States Federal Census documents the Braselton family living in Precinct 2, Parker County, Texas. On December 24, 1873, Walter M. Braselton enlisted to serve in the Texas Rangers as a Corporal in the Parker County Rangers Company J, under the command of Captain W.L. Hunter. While serving in the Texas Rangers, he fought in the Indian Wars against the Kiowa and Comanche tribes. His service concluded March 29, 1874. According to the 1900 United States Federal Census, the Braselton family is recorded living in Justice Precinct 7, Parker County, Texas. As indicated on the 1910 United States Federal Census, the Braselton Family is documented living in Justice Precinct 1, the Wright Community, Parker County, Texas. Walter and Lucinda J. Braselton had six children together during their lifetime in Parker County. Walter M. Braselton a veteran of the Indian Wars, and pioneer farmer, died August 8, 1912 and is buried beside his wife Lucinda Jane (Wilmouth) Braselton who died November 12, 1919. 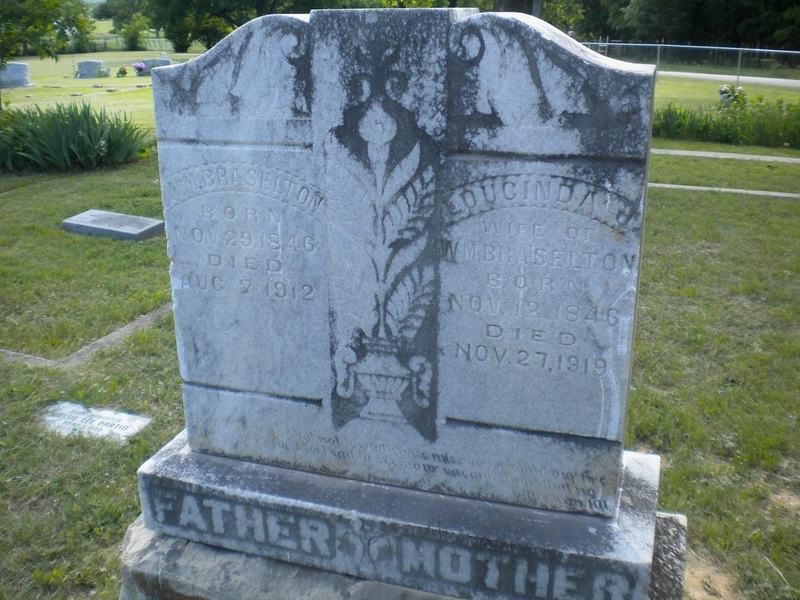 Two of their children, Gus V. Braselton (1872-1940) and Stephen Andrew Braselton (1873-1935) are also buried in the family plot at Clark Cemetery.